Is Empire Ready for Growth? This is a guest contribution from The Financial Canadian. Investors do well to invest in companies that they know and understand. This is called staying within one’s ‘circle of competence’, a phrase widely used by super-investor Warren Buffett. There are few industries as widely understood as the grocery industry. After all, it is almost impossible to survive in the twenty-first century without regularly stocking the pantry at these locations. For Canadians, one of the most well-known grocery stores is Sobeys. Many investors are not aware that this company can be purchased on the Toronto Stock Exchange. This is because the company that owns these grocery stores is not called Sobeys – instead it trades under the name Empire Company Limited, under the ticker EMP.A. With a dividend yield of 2.5% and a strong dividend history, Empire is appealing to dividend investors. This article will discuss the investment prospects of the Empire Company in detail. Empire benefits from considerable geographic scale. This benefits investors because the company is insulated from any regional economic downturns. Empire’s operations base is outlined in the following diagram. Now that we have an understanding of Empire’s business model, let’s consider the current events that are material to the company’s investors. One of the most notable current events that Empire shareholders should be aware of is the replacement of the company’s CEO. Following a prolonged search for a new executive, Empire has announced that Michael Medline has been appointed President & Chief Executive Officer effective January 12. Medline has extensive experience in retail after a 15-year career with Canadian Tire that saw him most recently served as the company’s President & Chief Executive Officer. Medline will be succeeding Francois Vimard, who had been leading Empire on an interim basis. Vimard will be staying at the company in an Executive Vice President role to help ease the transition for Medline and the rest of the company. For investors, this will be a welcome change. Empire’s stock has absolutely languished over the past two years, dropping from above $30 in February of 2015 to the current price of $16.30. Medline is seen as a catalyst to help reinvigorate the company’s share price. As a dividend-oriented investor, I place a great deal of importance on the historical growth of a company’s dividend. Evidence suggests that if a company has a strong history of increasing dividends then they are likely to continue doing so in the future. Empire is currently a Canadian Dividend Achiever with 10 years of dividend increases. The following diagram outlines Empire’s dividend history over the past 10 years. Since 2005, Empire has done a great job of growing investor income. Their dividend has been increased from $0.19 in 2005 to an expected annual payment of $0.41 in 2016, which is good for a cumulative annualized growth rate (CAGR) of 7.2%. Looking back even further, Empire’s dividend growth since 2000 (when they paid an annual dividend of $0.06 on a split-adjusted basis) has been progressing at a rate of 12.8%. This is a phenomenal record of dividend growth! Clearly, Empire has a culture of rewarding their shareholders with dividend payments. As long as the underlying business remains strong, I am confident that management will continue to raise the dividend. Let’s investigate Empire’s historical performance and growth prospects to determine realistic expectations for future performance. The most important metric for dividend investors is to consider is earnings per share. After all, without earnings, companies have no money to pay dividends! Looking backward, Empire has a strong record of delivering earnings growth to shareholders. In fiscal 2016, the company is expected to report EPS of $0.55, which is actually weak relative to past performance. This number should rebound once the company’s new management has time to make adjustments. In general, though, Empire has not delivered on EPS growth since 2005. Consider the following diagram as evidence of this. However, the company is focused on maximizing a few key drivers of growth. The first is the introduction of new concept stores to appeal to consumers. With Amazon taking away any cost-related appeal that Sobeys can offer, Empire is attempting to make shopping more of an experience. Rather than simply shopping, Empire is aiming to deliver ‘a world of food discovery and innovation’. This is actually quite similar to the approach that Starbucks is taking to differentiate itself from the competition. Rather than cut costs and become more of a discount coffee maker, Starbucks is becoming even more premium with the introduction of Starbucks Roasteries. Instead of competing on price, they are competing on quality. Another driver of growth for Empire is the continued integration of Safeway Canada, which was purchased in 2013. Empire is still aggressively pursuing technological congruence between Sobeys and Safeway, and the company is confident that they will deliver on their original target of $200 million of annual synergies between the two grocers. The last growth catalyst that I will mention in this article is Empire’s focus on certain demographic segments. Specifically, Empire has identified the South Asian, Asian, and Middle Eastern demographics as important for the company’s future growth. This is because of the population explosion that is expected to occur in these Canadian demographics over the next two decades. The South Asian demographic in particular will be critical for Empire’s growth, as this segment boasts a good combination of current size and growth potential. Empire is addressing this via the introduction of Chalo!, the company’s South Asian-geared discount retailer. The company describes Chalo! as discount without compromise, and it combines both South Asian and Canadian grocery offerings. Given Empire’s extensive retail experience and the exploding demographics that the company is targeting, I am confident that they will successfully execute on their South Asian-focused Chalo! initiative. This will combine with the company’s other new concept stores and their continued Safeway integration to drive growth in the short term. The importance of competitive advantages for a successful investor cannot be understated. For Empire, the company’s competitive advantage is largely derived from their impressive operational size and scale. The large-scale grocery business is very difficult to penetrate because of the duopoly that exists between Empire and Loblaws. To put it simply, their business is not easy to replicate, which is beneficial for Empire. Empire also has a highly evolved logistics and distribution base that allows them so reduce costs relative to smaller competitors, providing a further competitive advantage. Empire is expected to declare earnings for fiscal 2016 of $0.55 on a per-share basis. Based on today’s stock price of $16.40, this represents a price-to-earnings ratio of 29.8. This is a relatively high valuation multiple considering that the S&P 500 currently trades at a price-to-earnings ratio of 25.5. Empire trades at a valuation premium to that basket of large-cap American businesses. Earlier in this article, I described Empire’s dramatic decline in stock price. How can it be that the stock has declined so much yet still trades at a premium to the market? The reason for this lies in the underlying earnings decline. From fiscal 2015’s $1.50 earnings-per-share to fiscal 2016’s expected $0.55 earnings-per-share, Empire’s bottom line decreased a devastating 63%. Earnings declined more rapidly than stock price, which has led to the appearance of a valuation increase. If we compare today’s stock price to fiscal 2015’s earnings-per-share, we get a much more reasonable valuation number of 10.9. This actually represents a very attractive valuation and one that I would be happy to buy a company at. I believe that new management will be a catalyst in restoring the company’s earnings-per-share, and once earnings recover we will see both a moderation in the company’s valuation and an increase in their stock price. 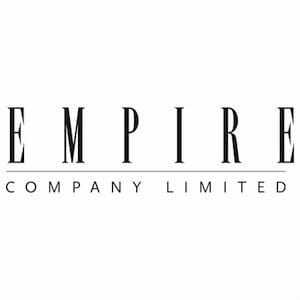 In my opinion, Empire is an example of a high-quality company that has run into temporary financial trouble. While the popular opinion is quite negative, investors may well profit from this irrational fear.